The presentation start time is the earliest time point in the presentation. It is established by information in the first media segment ever appended to a SourceBuffer in sourceBuffers. 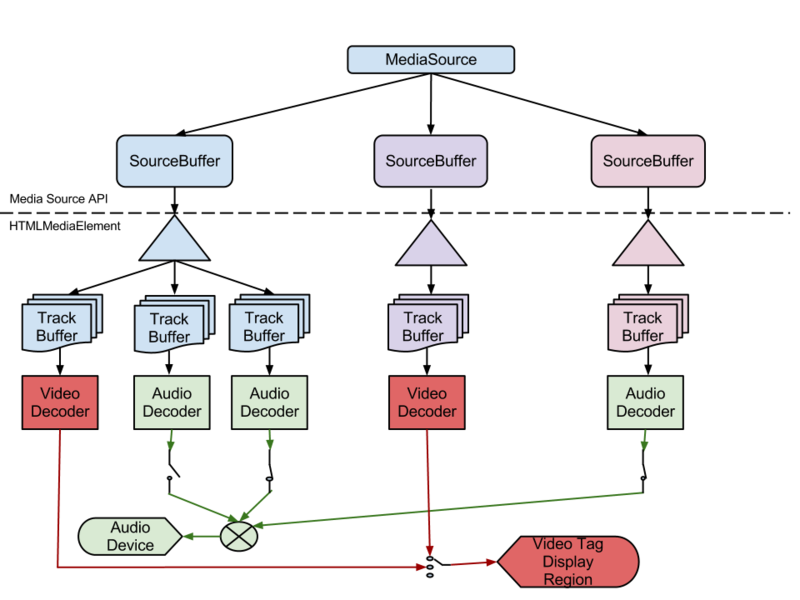 Once the presentation start time has been established, appending media segments with timestamp earlier than the presentation start time will cause playback to terminate with a MediaError.MEDIA_ERR_DECODE error. If the duration attribute isn't explictly set before the first initialization segment is appended, then the presentation duration will get implicitly set. If the first initialization segment appended contains duration information then the duration attribute will be set to that value. If the first initialization segment does not contain any duration information then the duration attribute will be set to PositiveInfinity to indicate that duration isn't known yet. If value being set is negative or NaN then throw an INVALID_ACCESS_ERR exception and abort these steps. If the presentation start time has not been established, set the presentation start time based on the modifed timestamps and format specific rules. Set the presentation start time based on the format specific rules. Set the duration attribute to PositiveInfinity. The timestamp in the first block of the first media segment appended establishes the presentation start time. All media segments appended after this first segment are expected to have timestamps greater than or equal to this timestamp. If for some reason a web application doesn't want to append data at the beginning of the timeline, it can establish the presentation start time by appending a Cluster element that only contains a Timecode element with the presentation start time. This must be done before any other media segments are appended. The earliest presentation timestamp of any sample of the first media segment appended establishes the presentation start time. All media segments appended after this first segment are expected to have presentation timestamps greater than or equal to this timestamp. If for some reason a web application doesn't want to append data at the beginning of the timeline, it can establish the presentation start time by appending a Movie Fragment Box containing a Track Fragment Box containing a Track Fragment Decode Time Box. The presentation start time is then the presentation time of a hypothetical sample with zero composition offset. This must be done before any other media segments are appended.